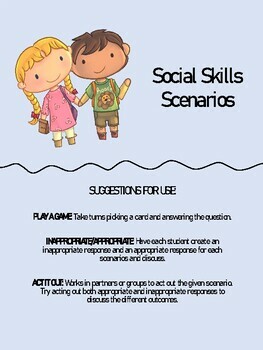 This can be incorporated into group work in the classroom, a small group setting (i.e., Lunch Buddies), or in therapy sessions. 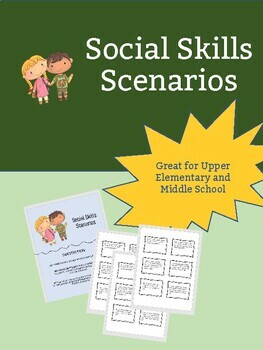 Useful for all children, but especially useful for children with pragmatic difficulties, an Autism Spectrum Diagnosis, or behavioral difficulties. 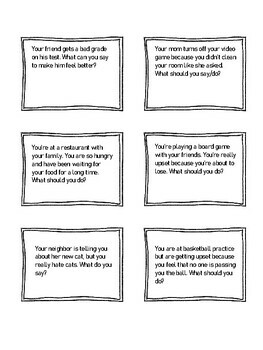 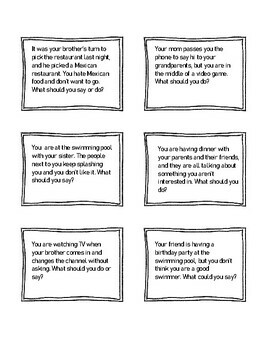 * 30 cards presenting different scenarios.